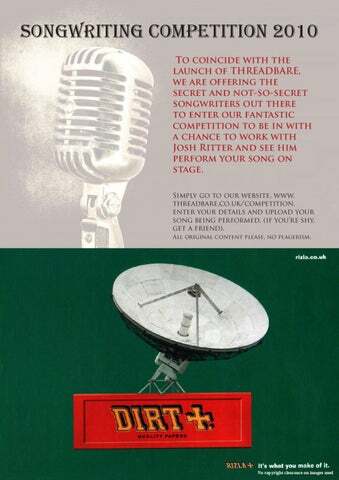 SONGWRITING COMPETITION 2010 To coincide with the launch of THREADBARE, we are offering the secret and not-so-secret songwriters out there to enter our fantastic competition to be in with a chance to work with Josh Ritter and see him perform your song on stage. Simply go to our website, www. 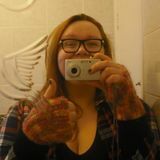 threadbare.co.uk/competition. enter your details and upload your song being performed, (if youâ&#x20AC;&#x2122;re shy, get a friend). All original content please, no plagerism.